There are currently 157 million active buyers on the eBay marketplace. If you are an ecommerce retailer that isn’t selling on this marketplace, you should be! That said, selling on eBay isn’t as simple as listing your products and then watching them fly off the shelves. You probably know that one of the biggest obstacles that online sellers face is managing inventory, and your eBay stock is no different. 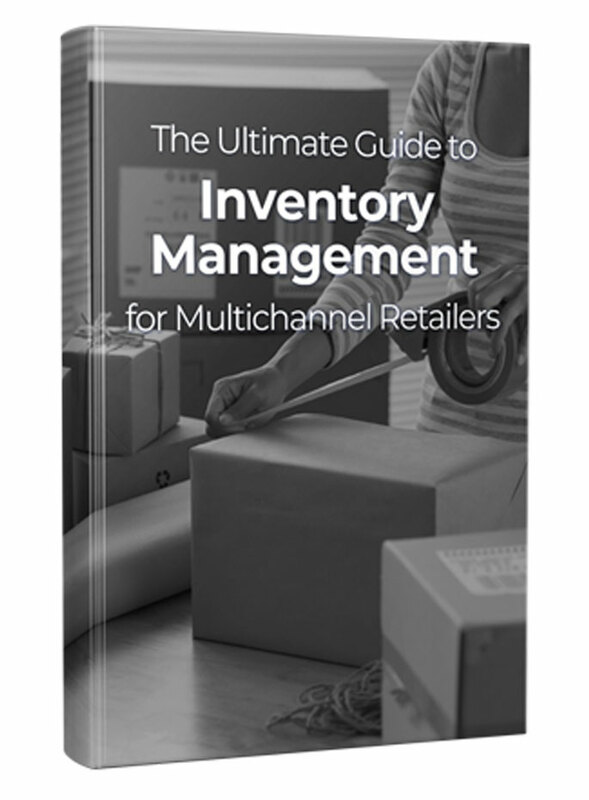 There is a lot of room for inventory errors with any ecommerce sales channel. Luckily, there are some tips that will make managing your eBay inventory more efficient and more accurate. We’ve put together some to get you started with ebay inventory management. Because eBay is an auction website, there are often price fluctuations. These changes in selling prices can have a significant effect on your inventory if you don’t stay on top of them. If products that you are selling undergo a substantial price fluctuation, you could be losing potential revenue if you don’t increase your prices, or you could be stuck with slow-moving inventory if you don’t lower prices. Keep an eye on products similar or the same as yours to make sure that your pricing stays relevant. It’s also important that you read and understand eBay’s policies for sellers because some of them can have a negative effect on your inventory management. For example, if you are rated as a “top seller,” that status can be revoked if you oversell or have products listed that are out of stock. You also have to take special care listing and describing your items. eBay takes negative reviews and complaints very seriously, so if you have a customer who receives something other than what you have pictured and described, eBay can tie up your payments until the issue is resolved. You are easily able to bundle items for sale with eBay’s product bundling feature (located under “seller information”), and you should use it. Bundling slow-moving products with your better-selling products will help you move them off the shelves when they might otherwise sit there collecting dust. Additionally, if you end up with an overstock of certain items, you can bundle them in multiples to help get your inventory back down to manageable levels. When you are just getting started selling online, it’s fairly simple to manage your inventory manually – perhaps with an Excel spreadsheet or some other type of manual tracking. As your business increases, however, you have to consider investing in an ecommerce inventory solution to maintain organization and quality customer service. When you are busy with spreadsheets and lists, it takes time away from dealing with your customers promptly and satisfactorily. Manual tracking also runs a higher risk of human error and inaccuracy because you may have orders that need to be fulfilled or returns and refunds that need to be handled. Finding the right type of software solution – one that provides you with real-time updates, accurate inventory levels, and automatic reordering alerts, will make your life easier and your business run smoother. Maintaining the right level of stock can become quite the balancing act. When you have too little stock you miss out on sales opportunities. But when you have too much stock, you are tying up valuable capital that could be better spent elsewhere. You may also be paying for storage (if you use a warehouse or dropshipper) for overstock. Either way, it costs you more and provides you with less. Not only is it important to make sure that the software solution you choose integrates with eBay and your other sales channels, you also want to make sure that you are integrated with your suppliers and wholesale sources. Doing so will allow you to head off impending inventory disasters like back-orders of stock, discontinuation of products you have listed, and overselling. When you are able to see your suppliers’ catalogs and product quantities in real-time, it’s much easier to resolve issues before they impact your customers. If you are thinking about getting started selling on eBay, or if you are just trying to tighten up your current eBay business, inventory management should be one of your first priorities. When you have an efficient system in place, whether you keep stock in your spare bedroom or you use multiple warehouses for your inventory, you will find that increased sales, business growth, and satisfied customers are the by-products. Investing in the right tools will make the process much simpler and eliminate much of the hassle that can surround ebay inventory management. 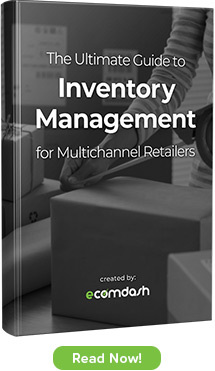 Inventory handling offers a competitive edge to your business, irrespective of its nature. It enables a comparative pricing to be given on a customer-to-customer basis as efficient handling, visibility and goal fulfillment can be ensured. Inventory management helps you make strategic decisions regarding the type of inventory that you need to carry for accommodating a process to manage that inventory and make your business results proactive.